If you are planning a trip to Peru then you have already picked a spectacular location! All that is left is to make sure that you make the most of what this country has to offer. To figure out when the best time to visit Peru is for you, there is one important factor that you must take into consideration: the weather. The best time to visit Peru also depends upon which part of the massive country you are planning to see, and what activities you want to do. There are 3 regions of Peru: The Coast, The Highlands and the Amazon Jungle. In order to be fully prepared for your travels, it is important to understand how climates can vary in the regions throughout the year. Peru has two seasons owing to its proximity to the equator. These are not traditionally known as summer and winter, but as the rainy/wet season (‘summer’) which runs from December to March, and the dry season (‘winter’) which runs from May to September. The months in between can be unpredictable but are a mix of both, with more sun than the dry season and less rain than the rainy season. The rainy season gets its name because of the extraordinary amount of rain that falls on the highlands and in the jungle. The coast is a little different, as it typically experiences minimal rainfall even during the rainy season. Consequently, the dry season on the coast is known as garua season: classified as mostly dry overcast weather, with occasional drizzling rain. The rainy season is extremely hot, and known as the summer months. The rainy season is actually the warmest time in Peru, as well as being the wettest season. With frequent rainfall in the highlands and the jungle, some of the major trails for travelers close because of this, including most of the Machu Picchu treks, like the Salkantay trek. If you’re here for the Inca trail, February is not your friend. You are likely to see a great amount rainfall in the highlands and in the jungle of Peru. 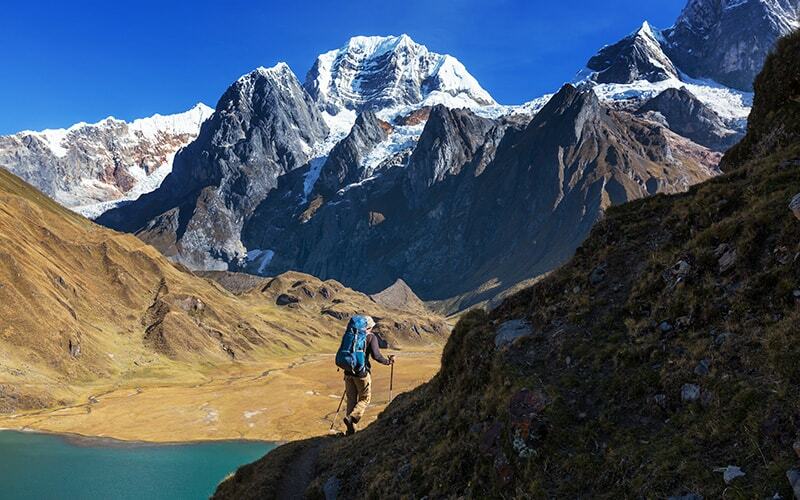 The rainy season (summer) isn’t the best time to visit Peru if you’re looking to trek in the mountains; as many paths simply become rivers, leaving them unwalkable; you will find that many trails close during this time. Be sure to check the availability of your chosen route before setting off. You can do this, and compare prices, at the website Find Local Trips. During the wet season in the Andes Mountains (including Cusco), the average temperature is around 18˚C (64˚F). At night the temperature drops to around 7˚C (44.6˚F). Even though heavy rainfall and regular thunder and lightning is guaranteed, the clouds will eventually part and grey skies will transform into sunshine. This is a beautiful sight, if you can wait out the storms. All in all, a general rule of thumb is that the rainy season (‘summer’) in Peru is not an ideal time for trekking up in the Andes Mountains but it is the perfect opportunity to take advantage of the sun along the Pacific Coast, where temperatures and the weather are generally stable thanks to the desert climate. These months are the perfect opportunity for sunning yourself along the coast, where temperatures are much higher than the highlands of the Andes, and dry days are all but guaranteed. In the capital of Lima there is an average of only one day of rainfall through the whole year. The Pacific Coast is generally warm, and can get very hot depending on the place. (Huacachina, the only desert oasis in South America, boasts high temperatures all year round). 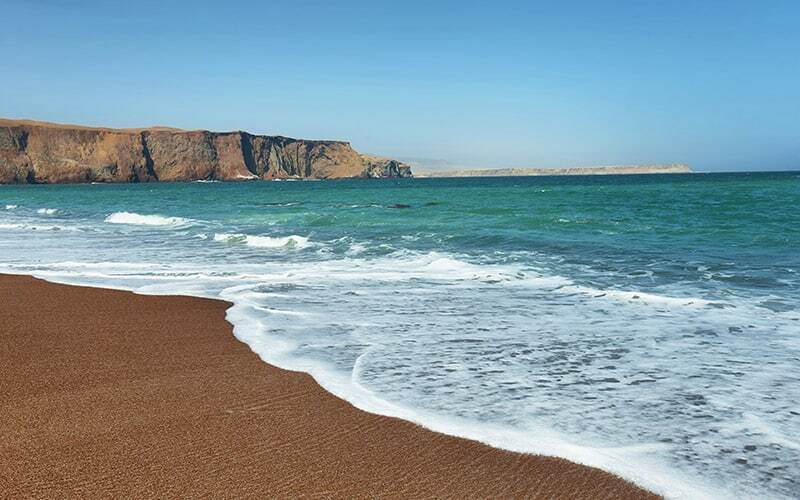 The highest average temperature along the coast in summer ranges between 24˚C (75.2˚F) and 29 °C (84.2 °F), but can reach up to 32° (89.6°F). The capital of Peru, Lima, has beautiful sunny days through all of the summer months. AS well, Mancora in the north gets beautiful sunshine with high temperatures all year round. If you like hot weather, these are great places to spend summer in Peru. In the Amazon region, it is hot and rainy for most of the year. It’s worth noting that the rain in the jungle probably isn’t what you’re used to at home, it is incredibly heavy, and not the sort of weather you can just pop a waterproof on and continue through. Generally in the rainforest temperatures stay similar throughout the year. However in summer temperatures rise a little and can reach as high as 42 °C (107.6 °F) (in Iquitos), with heavy rainfall causing river levels to rise. This isn’t all bad though, as the increased river levels make it easier for boats to venture deep into the jungle. This gives you a greater chance of seeing spectacular and unique wildlife (including the famous pink river dolphin). It is also worth knowing that the rainy season in the jungle is mosquito high season. Make sure that while you’re packing you have plenty of repellent, long and loose clothing, and are up to date on your yellow fever injection. If you’re planning to travel the whole country, the best time to visit Peru is, surprisingly, the winter. This is the driest season in Peru, which is especially important if you are planning to visit Cusco, trek the Rainbow Mountain or a Machu Picchu trail, such as the Inca trail. One of the main attractions of Peru is Cusco and Machu Picchu. Cusco is situated high in the Andes mountains (with an elevation of 3,400 meters). From May to November it is generally dry in the Andes. Temperatures in the highlands have a wide range, especially between the day and the night. During the day they sit around 20˚C and through the night they drop as low as 2˚C through the winter. Also worth noting, the majority of buildings in Peru have no built-in heating. We advise you to be well-prepared for the cold in winter when in places such as Cusco, high up in the Andes Mountains. It can get very cold there, especially during the evenings and early mornings. Despite the cold, these might also be the brightest months that Cusco has to offer as the clear, sunny skies shine through the day. Packing light may seem difficult, but why not wait to purchase some warm clothing in the indigenous markets of Cusco? Famous for its vibrant alpaca-wool scarves, hats and jumpers, this is the perfect place to get souvenirs for your friends and family, as well as a treat for yourself as well. Unfortunately, during winter in Peru the skies along the pacific coast are typically very cloudy. Some locals know Lima as ‘The Grey City’, due to the thick layer of fog that lingers over the coast between the months of May, right through to October. 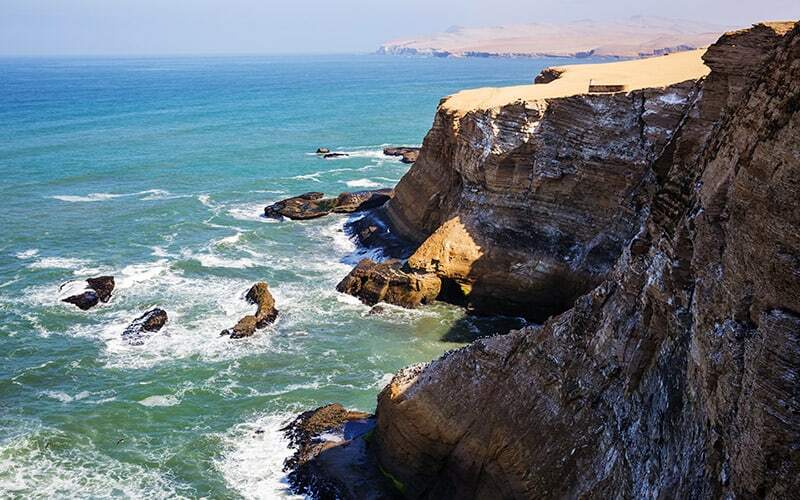 Despite the cloud, the coast of Peru is particularly humid with an average of 80% humidity. The highest average temperatures range from 15˚C (59˚F) and 21 °C (69.8 °F), and lowest between 8˚C (46.4˚F) and 15 °C (59°F). Exploring this region is more enjoyable in the dry season. There is less rainfall and temperatures here stay tropical all year, making the adventure even more palatable. 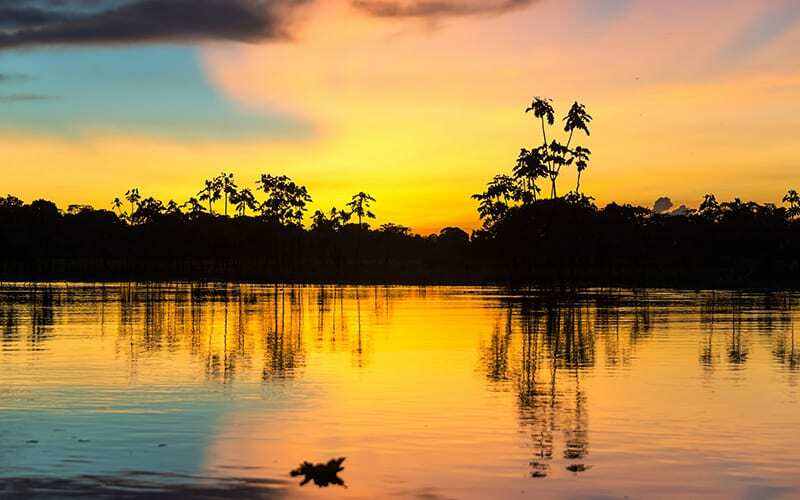 Similar to the Andes, the recommended time to visit the Amazon Jungle is during the dry season, as there are less mosquitos and, most importantly, less rainfall. However, there are also many perks of visiting it during the rainy season thanks to the rise in water levels in rivers. Ultimately, there are plenty of variables when it comes to the best time to visit Peru. Between the three geographical regions, the two seasons and Peru’s unpredictable climate, there are more than enough factors to consider. The weather in Peru can sometimes be unpredictable, but the rich culture and warm people make up for any logistical snags caused by the weather.